You will find lots of space where you can seek the kind of respite that just doesn’t exist in everyday life. Escape from phones, clocks, work pressures, and home pressures. 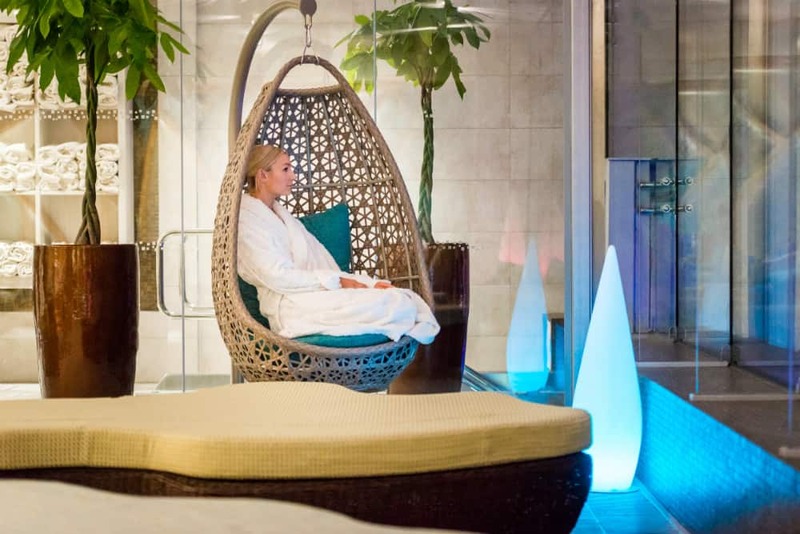 When you need to eat, there’s an extensive buffet, when you need to sleep there’s an expansive bed, and when you need some time to yourself you’ll find peace in the relaxation rooms and lounges at our luxury health spa. Lounge around in the peace of our spa resort by grabbing a book and nestling yourself into some comfy cushions or snuggling under a duvet and ‘resting your eyes’. 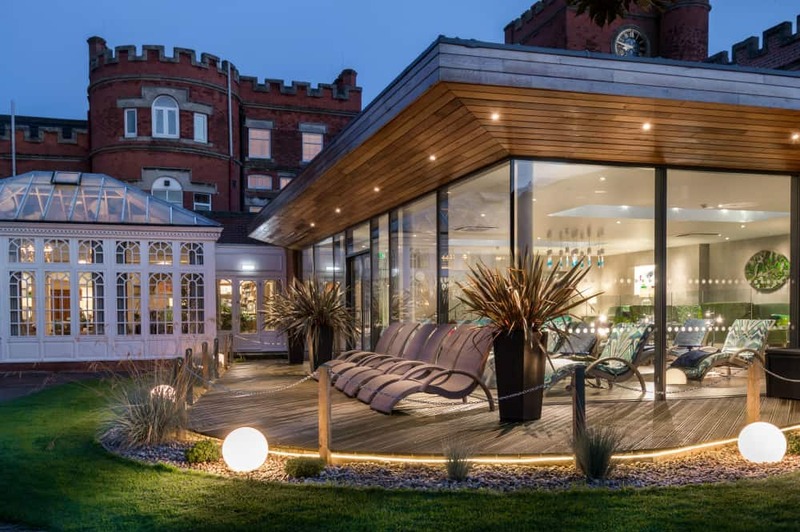 A contemporary relaxation area which features sumptuous sofas, garden view loungers and some beautiful contemporary artwork and glassware. 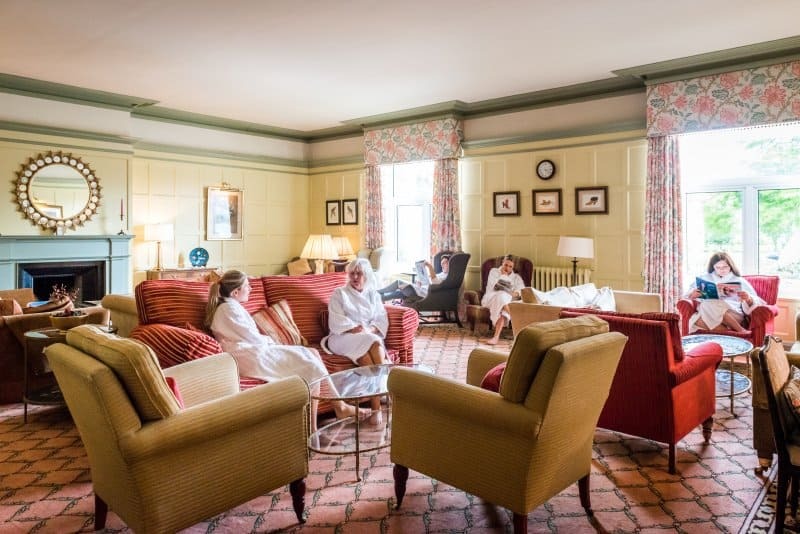 The area oozes blissful relaxation and is Ragdale’s ultimate chill-out zone! A strictly silent area where guests like to come and relax, maybe after a treatment or to let their coffee and cake go down, read a book or grab forty winks. 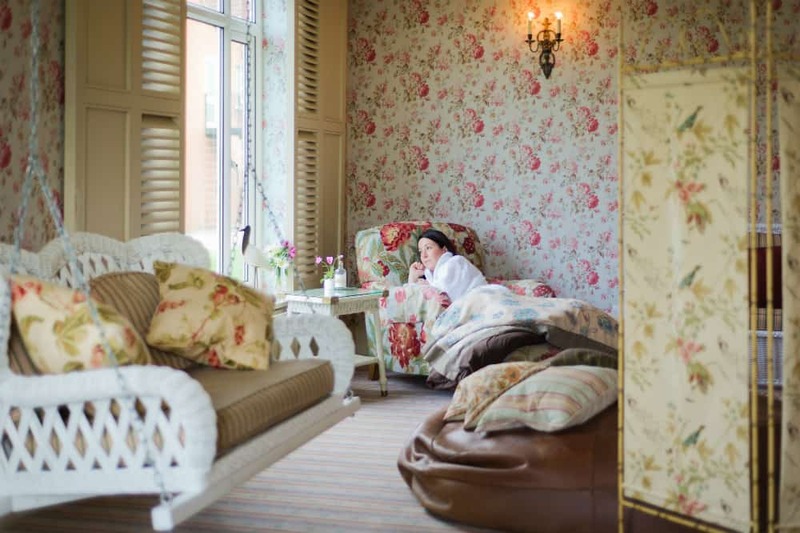 With it’s cosy floral decor, plush carpet and choice of beds, swing seats, bean bags and plump cushions, this little sanctuary is sure to ease you into a complete state of contentment. A place where you can join your friends or other guests for a game of cards or scrabble or find your favourite magazine and catch up with all the latest fashion and celebrity news. 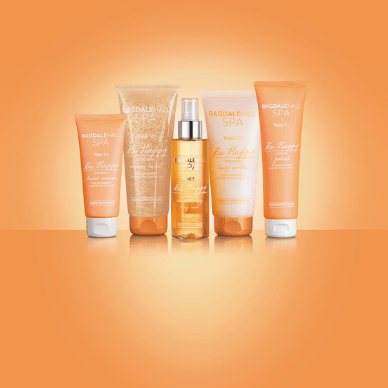 A place where you can grab a coffee and enjoy the sunlight on your face after your visit to the Thermal Spa. A space for quiet contemplation whilst soaking up an elevated view of the pool and valley below. 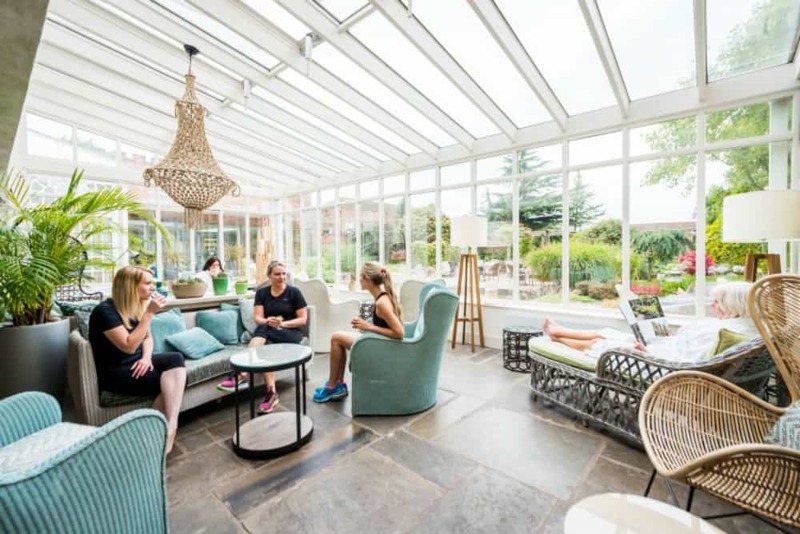 Featuring an eclectic mix of seating with beautiful fabrics, including cocoon and hanging chairs blending luxury and heritage to create a welcoming environment. A full-length feature wall with veneer frame and upholstered fabric panels in soothing colours completes the calming space. 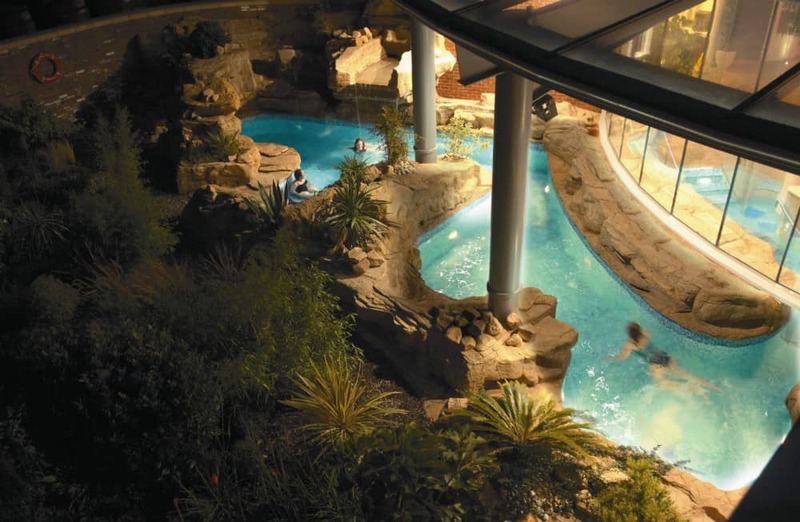 And of course, there’s the multi-million pound Thermal Spa consisting of different heat and water experiences…click here for more info and pictures. Ragdale Hall is a place where time slows down. 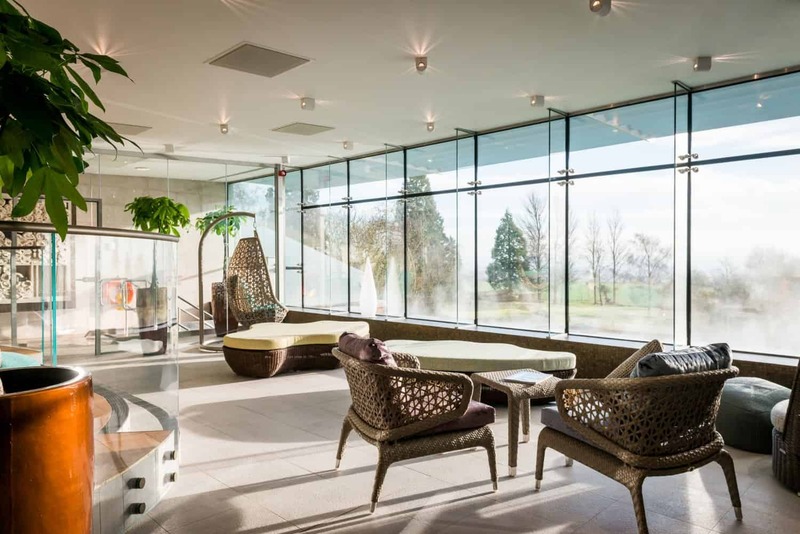 Think of our spa retreat as a haven where you have permission to lounge about all day in a dressing gown, spending time in the whirlpool spas or walking in the gardens. Unload your responsibilities for a few hours and immerse yourself in the kind of luxury that we’ve spent nearly 40 years perfecting. Simply slowing down for a few days can be incredibly rejuvenating.